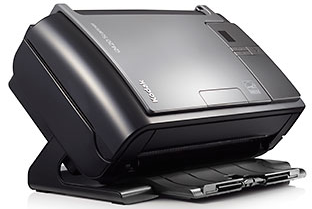 The latest Kodak i2000 Series scanners offer everything in a very small but powerful package. Capture images with clearer and more consistent colors. Built-in Perfect Page technology automatically produces sharp images, which minimizes the need to re-scan or post-image processing. Model: i2420 Description: Business card A8 to A4, Smart Touch.